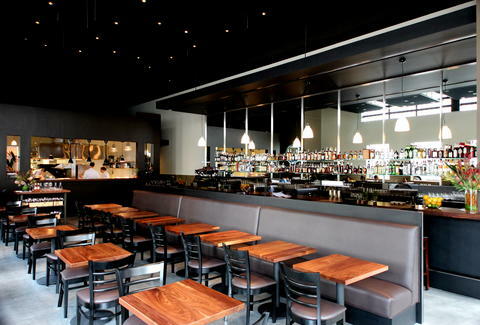 Not just the year Benning Wentworth created the New Hampshire Grant of Pownal, Vermont (duuuuuuh), 1760 is also the name of a giant, bay-windowed, way-more-approachable little sister to Michelin-starred Acquerello. 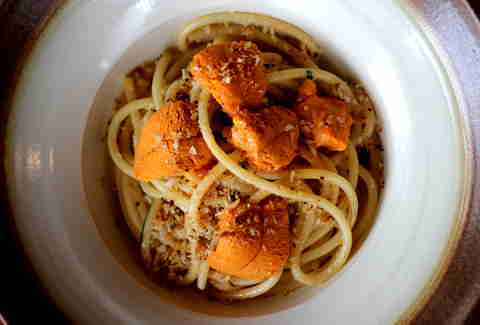 The kitchen's manned by a chef who both trained in Japan AND worked in Mike Voltaggio's epic LA restaurant ink., and the menu spans a bunch of different cuisines, with the likes of a fried duck sandwich w/ slaw and spicy aioli, or this uni, garlic, and bread crumb bucatini, or thick spaghetti, made by the master pasta-maker at Acquerello. 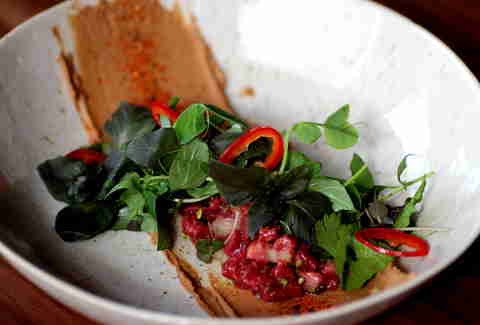 Then there's the absolutely delicious SRF Beef Tartare with Marcona almond, herbs, and chile, who's really gotta tell Left Eye about this. 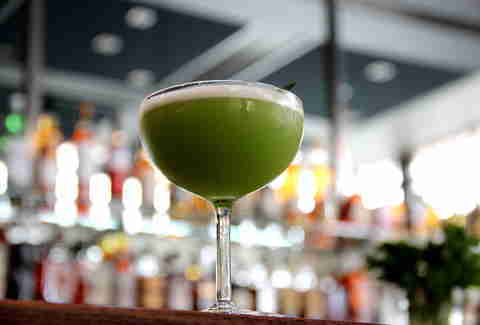 And, along with an impressive 200+ bottled wine list, they offer eight hard-to-find brews and 10 cocktails, like this don't-let-the-green-fool-you-and/or-worry-you-if-you're-a-Ninja-Turtle powerhouse of a Basil-Mezcal Sour.